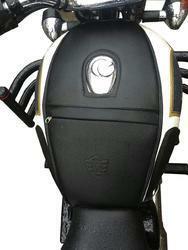 We are into two wheeler wholesale seat and its accessories. 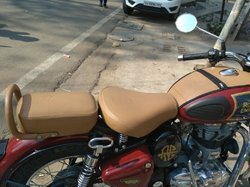 We also provide complete seat of any bike. Do not hesitate to contact us for any queries or information. 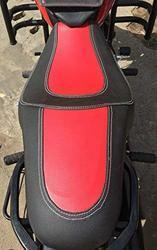 A Royal Seat Cover for India's best selling two wheeler Activa. Delivering quality products is not our act, it is our habit. 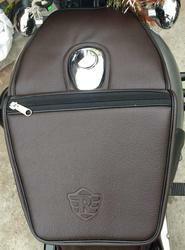 This cover fits Honda Activa 3G, Activa Old and Activa New. 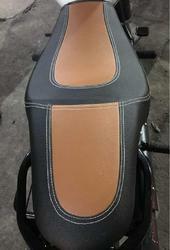 NOTE: We deal with all two wheeler seat assembly and seat covers including tank covers. 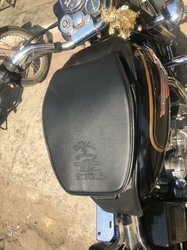 A Royal Tank Cover/Tank bag for Royal Enfield Thunderbird. Delivering quality products is not our act, it is our habit. We also customize the product according to your requirements. For all Riders out there. A much awaited product now has arrived. Here are the Gel Pads (With belt) for your comfort rides. FIRST TIME IN INDIA. Suitable for people who drive long distances. Many customers have asked what we could do to make their Bike seats more comfortable. We’ve always recommended installing a gel pad – which only measures 15mm thick, but feels like a couple inches of foam. 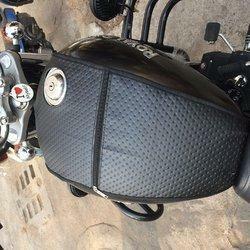 Gel Pads were created to add comfort for your motorcycle riding experience. 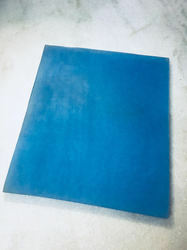 Gel pads reduce riding fatigue by diminishing the effects of vibration on the rider. 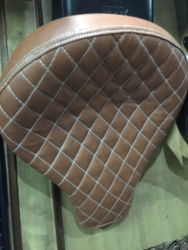 It is made of a denser gel than other seat pads to more effectively absorb shock and distribute the rider's weight across the entire surface of their seat. They are designed to be installed inside the seat of your motorcycle. Will work for any type of seating: sport bikes, touring bike, cruisers, ATV, off road, and much more! 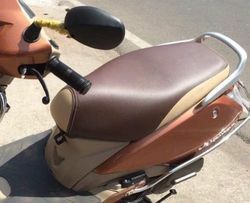 Now you can Customize the saddle cover. 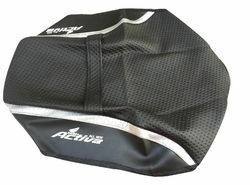 A Royal Tank Cover/Tank bag for any bike. Delivering quality products is not our act, it is our habit. 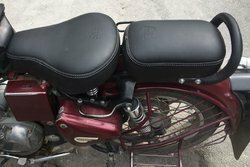 Original Cushion/Foam Seat Cover for Royal Enfield Bullet Electra and standard. 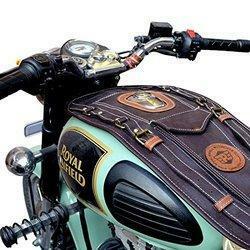 We deal with all Royal Enfield products. We also customise the product according to your requirement. 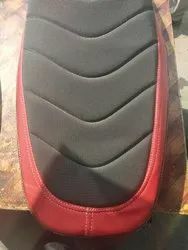 About the seller,We are the development and manufacturing organisation producing two wheeler seat accessories to help our customers give comfort rides as well as various options for their bike seat. The founders of our company have a combined 50+ years of experience and are uniquely equipped to provide innovative solutions to customer problems. The Company was founded in 1964. Over these years, the company has earned a reputation than has a unique combination of quality, values, trust and reliability. 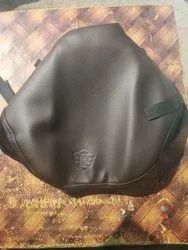 Sahara Seats Coffee Brown Tank Cover/Tank Bag for all classic models Redditch Green. Lagoon. Redditch Red. Gunmetal Grey. ASH. Silver. Redditch Blue. 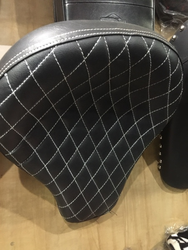 Black.We are the development and manufacturing organisation producing two wheeler seat accessories to help our customers give comfort rides as well as various options for their bike seat. The founders of our company have a combined 50+ years of experience and are uniquely equipped to provide innovative solutions to customer problems. The Company was founded in 1964. Over these years, the company has earned a reputation than has a unique combination of quality, values, trust and reliability. 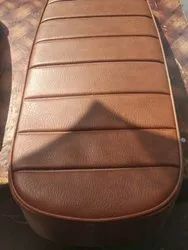 Sahara Seats Original Seat Covers. 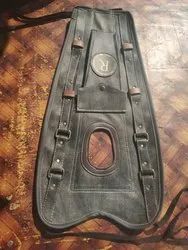 Designed mostly for Royal Enfield Classic 350 and 500. Original fabrics has been used in this seat cover. 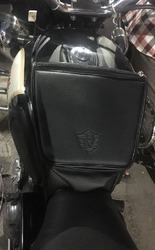 About the seller We are the development and manufacturing organisation producing two wheeler seat accessories to help our customers give comfort rides as well as various options for their bike seat. The founders of our company have a combined 50+ years of experience and are uniquely equipped to provide innovative solutions to customer problems. The Company was founded in 1964. Over these years, the company has earned a reputation than has a unique combination of quality, values, trust and reliability. Our Company is located in Hyderabad, India. 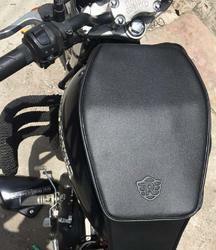 A royal cushion foam black seat cover added cushion for royal enfield classic 350/500. then trust us. delivering products is not our act, it is our habit. 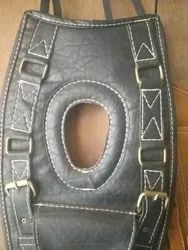 this listing includes seat cover only. 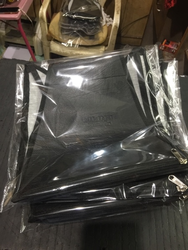 we also customize the product according to your requirements. 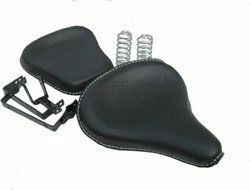 About the seller We are the development and manufacturing organisation producing two wheeler seat accessories to help our customers give comfort rides as well as various options for their bike seat. The founders of our company have a combined 50+ years of experience and are uniquely equipped to provide innovative solutions to customer problems. The Company was founded in 1964. Over these years, the company has earned a reputation than has a unique combination of quality, values, trust and reliability. Our Company is located in Hyderabad, India. 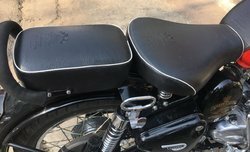 SaharaSeats A royal covers for any royal enfield classic 350/500 half flap black original . We also customise the product according to your requirements. 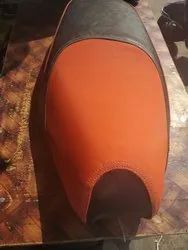 About the seller We are the development and manufacturing organisation producing two wheeler seat accessories to help our customers give comfort rides as well as various options for their bike seat. The founders of our company have a combined 50+ years of experience and are uniquely equipped to provide innovative solutions to customer problems. The Company was founded in 1964. Over these years, the company has earned a reputation than has a unique combination of quality, values, trust and reliability. Our Company is located in Hyderabad, India. For any queries Watsapp on 9703626084. 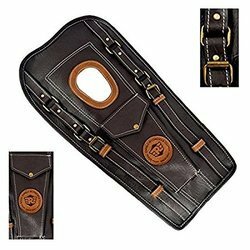 SaharaSeats Gun Metal classic 350 coffee brown half flap tank cover. 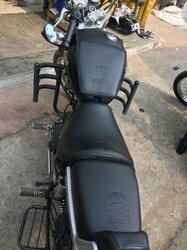 About the seller We are the development and manufacturing organisation producing two wheeler seat accessories to help our customers give comfort rides as well as various options for their bike seat. The founders of our company have a combined 50+ years of experience and are uniquely equipped to provide innovative solutions to customer problems. The Company was founded in 1964. Over these years, the company has earned a reputation than has a unique combination of quality, values, trust and reliability. Our Company is located in Hyderabad, India. 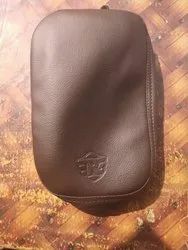 SaharaSeats A royal covers for any royal enfield classic 350/500 full flap brown original . We also customise the product according to your requirements. 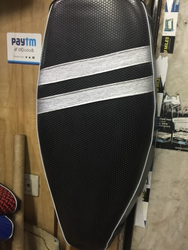 About the seller We are the development and manufacturing organisation producing two wheeler seat accessories to help our customers give comfort rides as well as various options for their bike seat. The founders of our company have a combined 50+ years of experience and are uniquely equipped to provide innovative solutions to customer problems. The Company was founded in 1964. Over these years, the company has earned a reputation than has a unique combination of quality, values, trust and reliability. Our Company is located in Hyderabad, India. 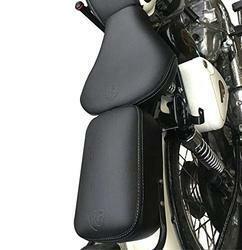 SaharaSeats A royal covers for any royal enfield classic 350/500 Thunderbird black original. seller information. 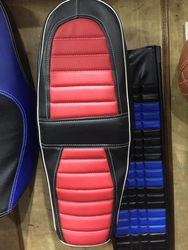 We are the development and manufacturing organisation producing two wheeler seat accessories to help our customers give comfort rides as well as various options for their bike seat. The founders of our company have a combined 50+ years of experience and are uniquely equipped to provide innovative solutions to customer problems. The Company was founded in 1964. Over these years, the company has earned a reputation than has a unique combination of quality, values, trust and reliability. 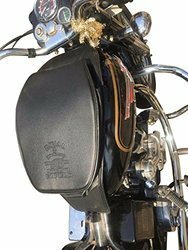 SaharaSeats A royal covers for any royal enfield classic 350/500 Tank cover black original. 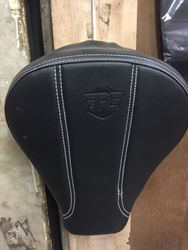 Seller Details We are the development and manufacturing organisation producing two wheeler seat accessories to help our customers give comfort rides as well as various options for their bike seat. The founders of our company have a combined 50+ years of experience and are uniquely equipped to provide innovative solutions to customer problems. The Company was founded in 1964. Over these years, the company has earned a reputation than has a unique combination of quality, values, trust and reliability. 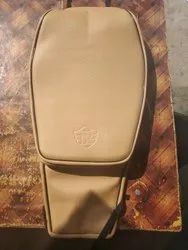 SaharaSeats A royal covers for any royal enfield classic 350/500 tank cover brown original. Seller Details. 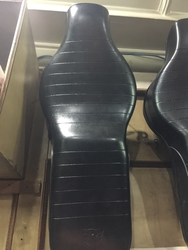 We are the development and manufacturing organisation producing two wheeler seat accessories to help our customers give comfort rides as well as various options for their bike seat. The founders of our company have a combined 50+ years of experience and are uniquely equipped to provide innovative solutions to customer problems. The Company was founded in 1964. Over these years, the company has earned a reputation than has a unique combination of quality, values, trust and reliability. 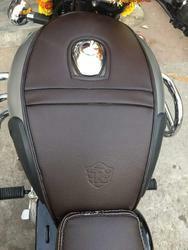 Thunderbird 350 x and 500 x seat cover by Sahara, fits perfectly to your new thunderbird bike. Fabric is leatherette. Excellent and best fabrics has been used in this seat cover. 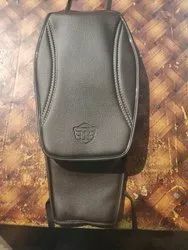 About the seller We are the development and manufacturing organisation producing two wheeler seat accessories to help our customers give comfort rides as well as various options for their bike seat. The founders of our company have a combined 50+ years of experience and are uniquely equipped to provide innovative solutions to customer problems. The Company was founded in 1964. Over these years, the company has earned a reputation than has a unique combination of quality, values, trust and reliability. Our Company is located in Hyderabad, India. 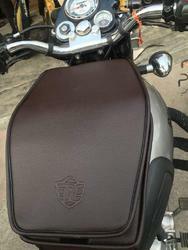 Thunderbird 350 X and 500 X seat cover by sahara, Fits perfectly to your New Thunderbird bike. Fabric is Leatherette. Excellent and Best fabrics has been used in this seat cover. 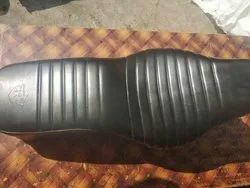 About the seller We are the development and manufacturing organisation producing two wheeler seat accessories to help our customers give comfort rides as well as various options for their bike seat. The founders of our company have a combined 50+ years of experience and are uniquely equipped to provide innovative solutions to customer problems. The Company was founded in 1964. Over these years, the company has earned a reputation than has a unique combination of quality, values, trust and reliability. Our Company is located in Hyderabad, India. For any queries Watsapp on 9703626084. 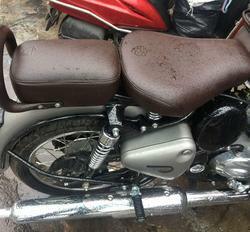 Harley Type Arjun Reddy Seat with Spring Front and Rear Seat for classic 350 and classic 500 and for all models. Comes in set of 2 and black in colour. 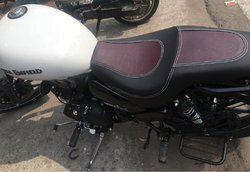 About the seller We are the development and manufacturing organisation producing two wheeler seat accessories to help our customers give comfort rides as well as various options for their bike seat. The founders of our company have a combined 50+ years of experience and are uniquely equipped to provide innovative solutions to customer problems. The Company was founded in 1964. Over these years, the company has earned a reputation than has a unique combination of quality, values, trust and reliability. Our Company is located in Hyderabad, India. 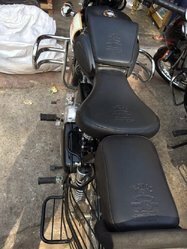 Harley Type Arjun Reddy Seat with Spring Front and Rear Seat for Bullet, Electra and Standard (Set of 2, Black). 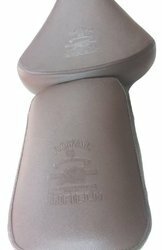 About the seller We are the development and manufacturing organisation producing two wheeler seat accessories to help our customers give comfort rides as well as various options for their bike seat. The founders of our company have a combined 50+ years of experience and are uniquely equipped to provide innovative solutions to customer problems. The Company was founded in 1964. Over these years, the company has earned a reputation than has a unique combination of quality, values, trust and reliability. Our Company is located in Hyderabad, India. 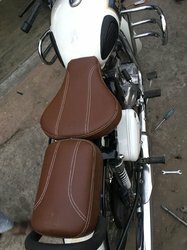 Harley Type Arjun Reddy Seat with Spring Front and Rear Seat for Classic 350 and 500 (Set of 2). 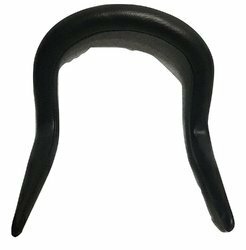 About the seller We are the development and manufacturing organisation producing two wheeler seat accessories to help our customers give comfort rides as well as various options for their bike seat. The founders of our company have a combined 50+ years of experience and are uniquely equipped to provide innovative solutions to customer problems. The Company was founded in 1964. Over these years, the company has earned a reputation than has a unique combination of quality, values, trust and reliability. Our Company is located in Hyderabad, India.